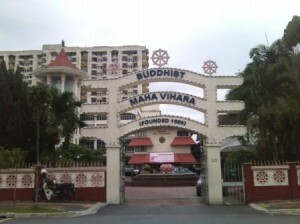 Buddhist Maha Vihara is located in Brickfields, Kuala Lumpur. 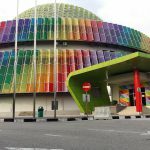 From KL Sentral station (housing Komuter, ERL, LRT and with a Monorail station nearby), you can walk there but it would take about 15 to 20 minutes. 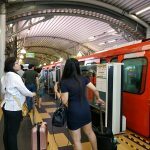 If you are carrying luggage, the walk is a bit too far. 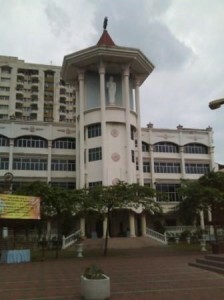 123, Jalan Berhala, Brickfields, 50470 Kuala Lumpur, Malaysia. 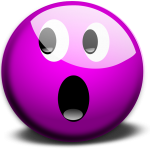 Tel: 603-7724 1141, Fax: 603-22732570. Above: After the entrance, at the parking area. The hall on your right is where talks are held. Years ago, I used to attend Friday talks by the late Chief Reverend. Always remember him and his belly laughs. 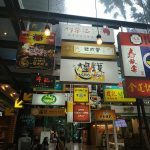 Please note that a free vegetarian lunch, courtesy of donations from devotees is available on every First and Fifteen Day of the Full Moon Lunar calendar. 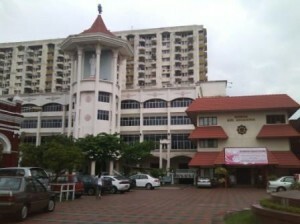 Above: Asoka Hall where official events and bigger events where there is a huge crowd turnout is held like during Wesak Day or All Night Chanting. The floors above are used to hold classes like Sunday study classes. Above: The main shrine hall. In the pictures above, the crowd is gathering around a resident monk who is chanting blessings to them. Some are sitting down in meditation. 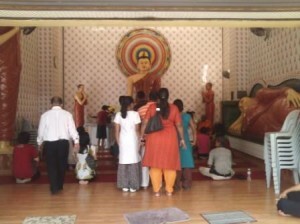 In the middle hall, you have the Buddha in Seated Meditation, and The Sleeping and Standing Buddha on the side. 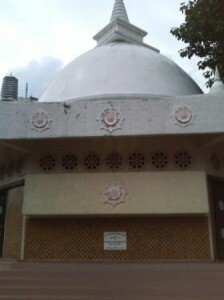 Every Wednesday night around 7pm the puja (chanting service) is being held in the hall here. Sometimes I like to come here and sit down by the sides to meditate. As this temple has been around for decades, the vibes are very positive. 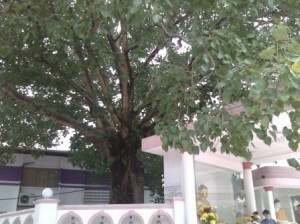 Above: The Bodhi tree, taken from the sampling of the original Sri Maha Bodhi tree in Sri Lanka. There are 2 Bodhi trees located in the temple- the bigger one closer to the pagoda (picture below) is the one. You can say a prayer and go around clockwise 3 or 9 times in quiet contemplation. Above: The Pagoda: it houses various Buddha statues and artifacts from different Buddhist countries. Inside it, you will see how each culture carries a different design and presentation of the Buddha statues. 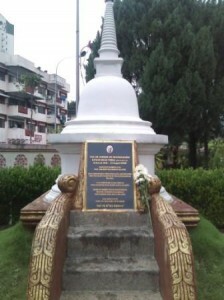 Above: The mini chedi set up in memory of the late Chief Buddhist monk in Malaysia, Dr K Dri Dhammananda. To read his publication, go to his official website and click on Publication. If you know the late Chief, you will know what a great and compassionate abbot he was. In his lifetime, he had almost all the illnesses like cancer, heart problem, high cholesterol, pain, etc and yet he never let his suffering showed or affect anyone. He was always smiling and hearty to all who came and visit him- and he had written a lot of books and attending functions and seminars promoting racial unity. That night, when I went to sleep, I dreamt of him- he was standing, holding on to his cane. And he was looking at me and smiling kindly. It seemed to be his way of acknowledging that he knew my thoughts of him. The last time I saw him was the year he passed away- my friend was there to see him. I actually made appointment to meet my friend at the temple. But as I walked past the compound, my friend saw me and beckoned me in. He saw me, looked straight into my eyes and smiled. I could never forget his kindness. Every time I revisit the temple, I always go to his chedi and as I kneed down to pay my respects, I always felt a tinge of sadness and regret, that a great and compassionate man is no longer with us in this world. And when he was alive, I was too busy working to find time to come over. iam vasanthi, living in klang with my husband who is doing a job in klang and my only daughter schooling in klang. 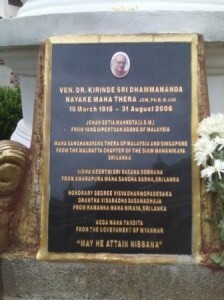 we hope to visit themaha vihara soon.looking forward to that day! Hope you can make the trip there. Now is coming to Diwali- so lots of things sold in Little India which is located near there too.